Happy Independence Day wishes and messages in Punjabi for 2018: India will be celebrating its 72nd Independence Day to pay homage to freedom fighters and remember their unforgettable sacrifice for the future of this country. In order to wish Independence Day, people send inspirational and motivational messages, quotes to their friends, family and loved ones through SMS, quotes, gif images, facebook wallpapers for friends and family. Happy Independence Day wishes and messages in Punjabi for 2018: On August 15, 2018, spirits of nationalism will be high and patriotic emotions will drive unity among the citizens of 29 states and 7 union territories as Indian will celebrate its 72nd Independence Day. The occasion is meat to remember the painful sacrifice of their freedom fighters and all those who played a crucial role for their country’s Independence. While the occasion of Independence Day remains as a public holiday, people across the nation indulge in several programmes and hang out with their loved ones, celebrating the spirit of nationalism. However, in this digital age, people wish their friends, family and loved ones Happy Independence Day using social media tools like WhatsApp, Whatsapp status, SMS, quotes, gif images, Facebook Wallpapers. Sharing motivational and positive messages to their loved ones using WhatsApp, WhatsApp status, Facebook, SMS and quotes is the new trend to wish Happy Independence Day. With the advancement in technology, there are many interactive messages, quotes that are available on these social media platforms with features like animation, which people can share on the Independence Day. There are several types of inspirational messages to evoke the feeling of patriotism and nationalism that are available across the social media platforms. Some messages talk about paying homage and tribute to the martyrs who fought for the country while some talk about being a sensible and responsible citizen. 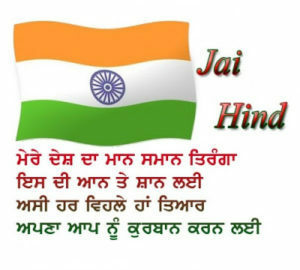 Since India stands for unity in diversity, these Happy Independence Day messages are available in several languages which are spoken in the country. 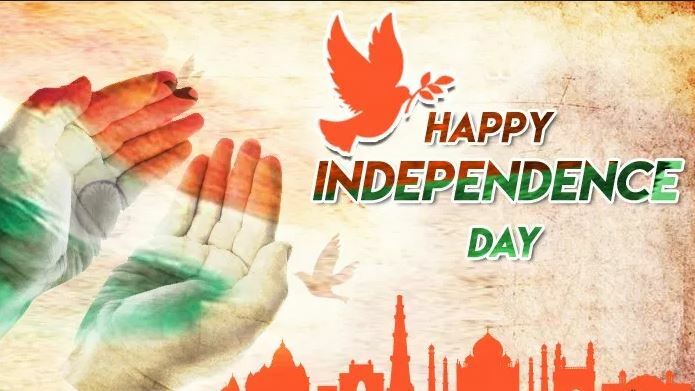 Here are some Happy Independence Day messages to be shared on Whatsapp status, SMS, quotes, gif images, Facebook wallpapers for Friends and Family.